I've been away for a few days which was a lovely break but have come back wanting to read anything other than Gothic (had enough of that for this year) but not really knowing what I'm in the mood for. So I decided on some non-fiction and a couple of short novels while I make up my mind. Testament of Youth by Vera Brittain......a unique record of one woman's experience of twenty-five of the most cataclysmic years in modern history. Has been on my 'read one day' list for far too long and I know I'm going to enjoy this one. The Bolter by Frances Osbourne......the story of Idina Sackville, the woman who scandalised 1920s society. I found this book after reading Nancy Mitford and went looking for more information on her character 'the Bolter'. 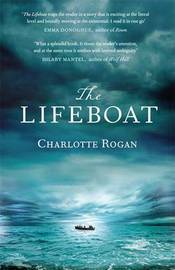 The Lifeboat by Charlotte Rogan......'a deceptively simple narrative of shipwreck and survival.' After reading reviews of this one I wasn't sure I wanted to read it but opinions are varied so thought I'd give it a try. I'm not familiar with these but I hope you enjoy them! I liked The Lifeboat, Cat. I thought it wasn't as gritty as it could have been, but still a very interesting read. I'm looking forward to reading it this weekend - it certainly sounds interesting. Testament of Youth is extraordinary, Cat. I know you're going to love it! I'm sure I'll love it, Claire - very strange I haven't read it before now. 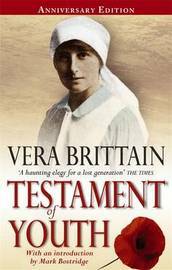 Testament of Youth sent me off to read both more Vera Brittain and also about the Great War. Like Claire says, it's extraordinary. Two glowing recommendations! I've been reading a lot about this era lately and it's all extremely interesting. Really looking forward to this one. Hi. I just stumbled across your blog and I LOVE it! We share a love of historical fiction and the classics. Stop by and visit my blog if you get a chance. Hi Kimberlee...thank you and I hope you'll stop by often. Very interesting list. Will you be reviewing Testament of Youth? I am interested in your take on that one. I never feel very confident reviewing non-fiction but maybe - I'll decide after I've read it. I no longer check books out from the library. I tend to forget to read them, and so I forget to take them back and so I tend to incur fines. It became very expensive to read Library books LOL As of today, I have not been to the library now, for more than a year. I am fairly sure that my library card has expired! !